London Knights – Won their last three, beat a hot Barrie team and watched Erie take a loss, good week for Dale Hunter’s crew. Erie Otters – Haven’t been on top of their game, losing to Saginaw and letting the Knights creep ever so close. Woke up in time to play Kitchener though. Kingston Frontenacs – Responded well to their loss to the Petes, and have done everything in their power to hold off a surging Colts team. Kitchener Rangers – Won twice and very nearly beat Erie, but none of the teams above them are giving up any ground. Barrie Colts – In a similar situation as Kitchener, playing extremely well, but so are the teams above. Sarnia Sting – Likely want that Flint game back, but managed to pull out an OT win against the Greyhounds. North Bay Battalion – Steamrolling teams, and winners of their last 4. Goal differential in that span? A whopping +19. Windsor Spitfires – Recovered from a rough stretch to win two straight, but gave up a lot of ground to the Sting in the process. Now they have to play a little catch up. Sault Ste. Marie Greyhounds – Haven’t lost in regulation in their last five, and pulled off a nice win in Windsor. 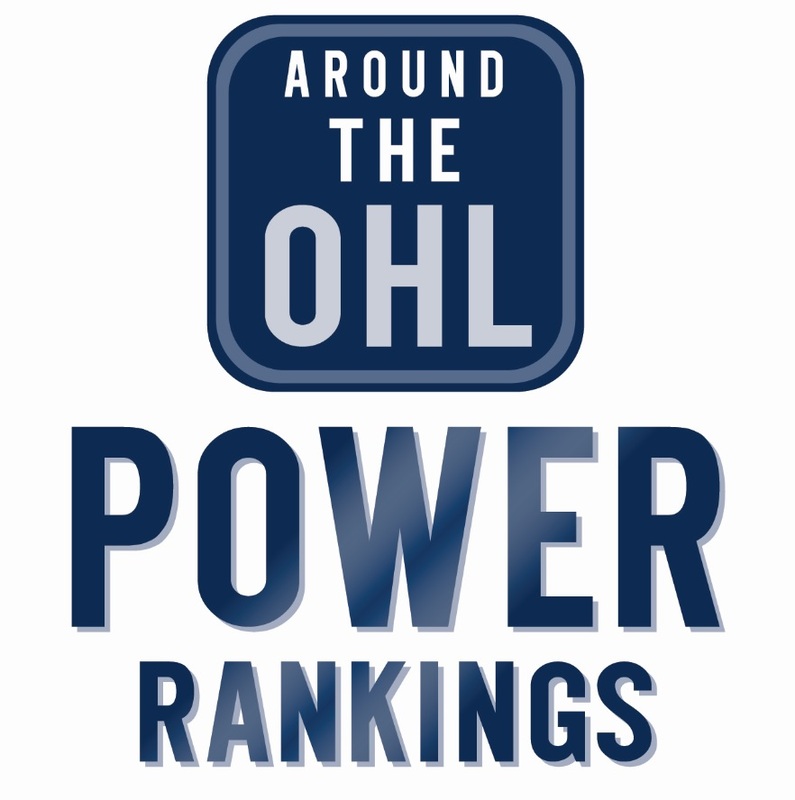 Owen Sound Attack – Beating Kitchener enough to bump them ahead of competition, but losing to Guelph ensures they go no further. Mississauga Steelheads – Sure their only wins came against Sudbury, but winning twice in one week is better than a lot of the teams below them can say. Peterborough Petes – Big win against Kingston, but big loss against North Bay keeps them below the Steelheads for now. Niagara IceDogs – Lost to Hamilton, then got stomped by a Kingston team that had played the night before, when Niagara had two days rest. Ottawa 67’s – They’re 0-3-1 over the past four, but at least have a solid lead over the teams below them in the standings. Oshawa Generals – Win against Ottawa keeps them out of the basement, but are much closer to the team below them than the team above. Saginaw Spirit – It amazes me how this team seems to always show up when they play the top teams, then disappear immediately after. Hamilton Bulldogs – Still deciding if beating Niagara is a big win or not, but again, this team is more competitive than they get credit for. Guelph Storm – Well that little blip of great hockey is gone, but this is still a much improved team from where they were earlier in the year. Sudbury Wolves – Have lost each of their past five, going to OT just once in those games. Flint Firebirds – Down here almost as much for their off-ice performance as they are for their on-ice.